Chameleons are little lizards that can blend in perfectly with their surroundings, but this particular one is meant to stand out in a crowd! 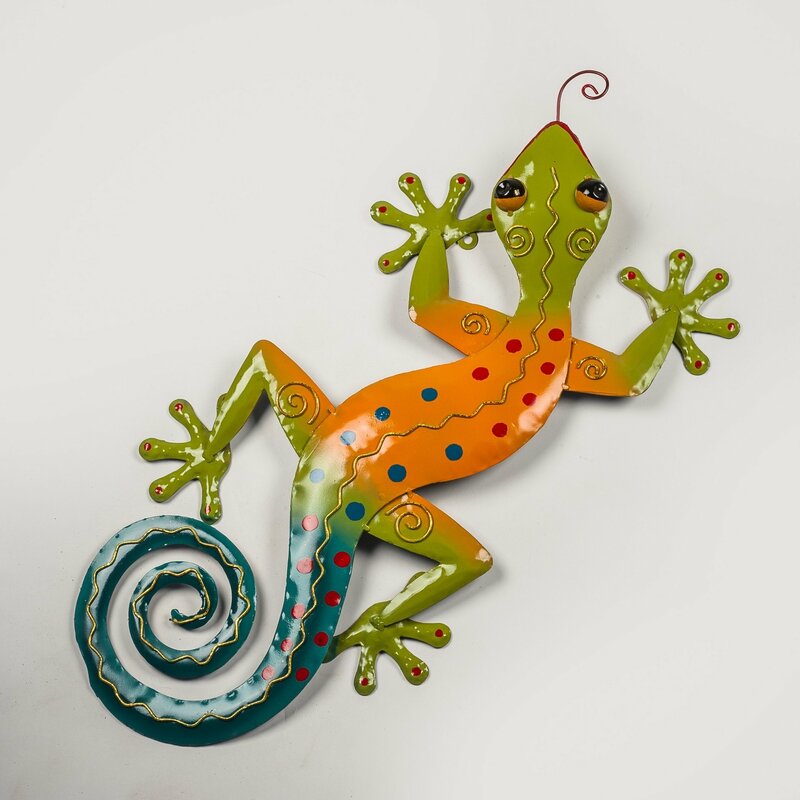 The chameleon metal wall art sculpture features get-noticed colors of lime green, yellow and royal blue with spots in red and blue for an eye-catching design. This colourful gecko has a green head and feet, an orange body and a blue tail. The Gecko has little spots on his back and tail and a gold stripe and swirls on its back. A red tongue pokes out of his mouth.